This vegetable marinade gets a fresh, sweet kick from the mango and ginger, and a little bit of heat from the cayenne. Use it with your favorite grilling vegetables and mix this up all year long! Grilling has long been paired with protein in my mind. And with good reason- grilled shrimp are one of my favorite summertime dinners! 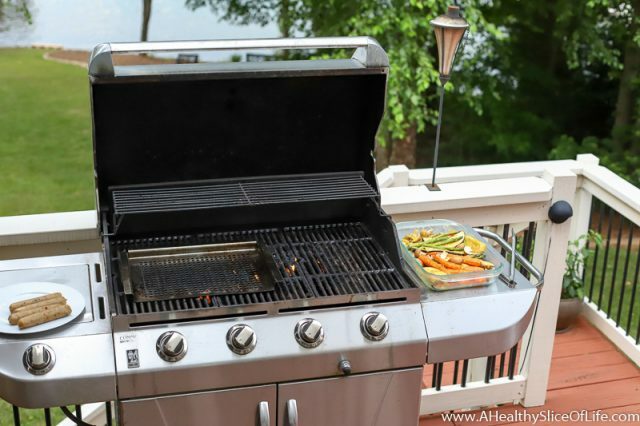 I especially love meals that can all be cooked together outside on the grill. It means I don’t heat up my kitchen and there are less dishes to clean (though one could rightfully argue that my grill grates could use a good scrub down). 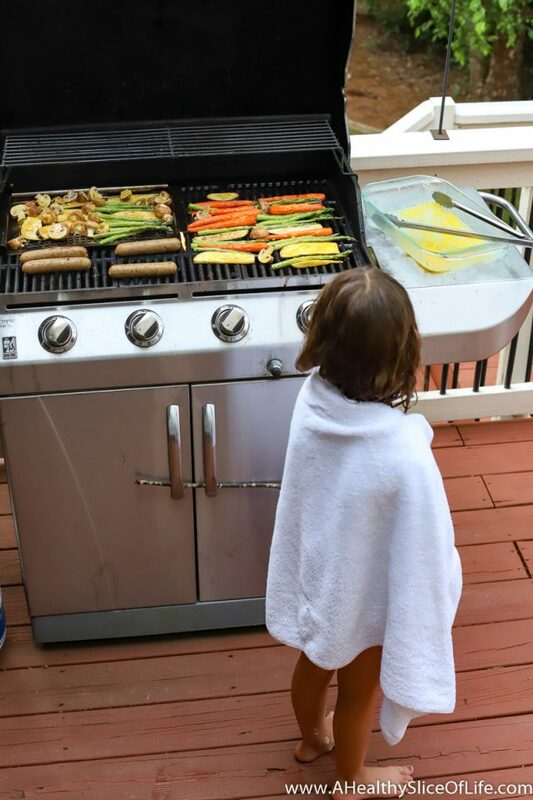 However, I don’t know why I often tend to forget about how well grilling works for vegetables. 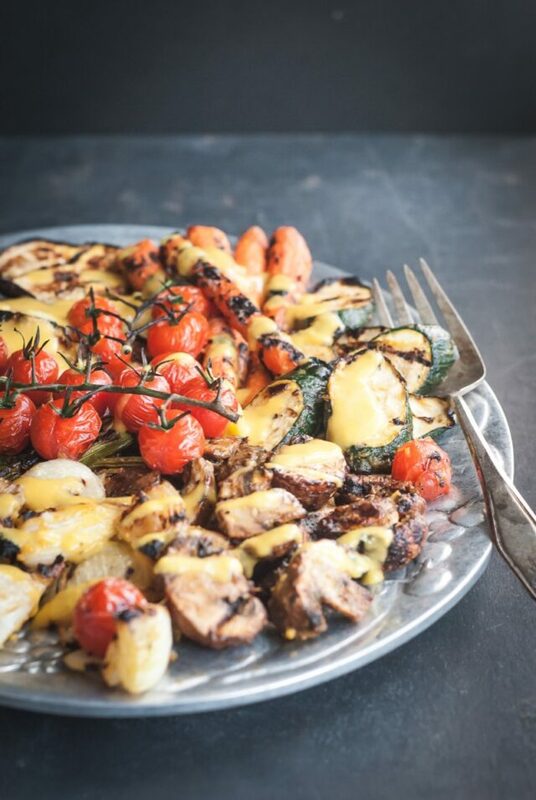 I think slightly charred veggies are one of the best ways to enjoy the plethora of summer produce in all its glory! Though they are tasty with just a drizzle of oil and salt and pepper, I also enjoy kicking it up a notch with a flavor-infusing marinade. This mango-ginger marinade screams summer. 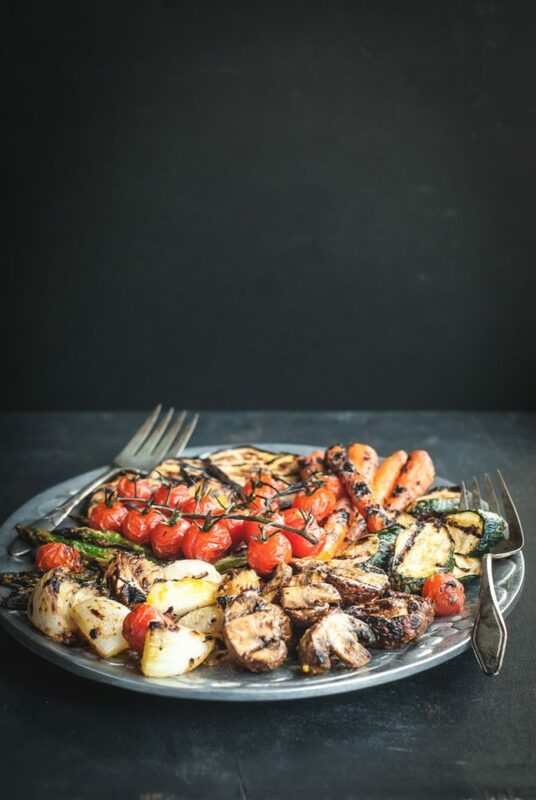 It’s subtle sweetness and slight kick from the cayenne boosts the flavor of the gently charred vegetables that will give you a meal that’s both healthy and delicious. It blends up quickly and also makes for a fabulous sauce to drizzle over the veggies once the are cooked. 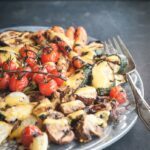 The next time you are looking for a summery side that will fill you fill you up and be delicious without weighing you down, give this mango-ginger vegetable marinade a go; I’d love to hear what you think! This marinade gets a fresh, sweet kick from the mango and ginger, and a little bit of heat from the cayenne. Use it with your favorite grilling vegetables and mix this up all year long! Combine chopped mango, sliced ginger, water, canola oil, honey, lime juice, garlic, salt, and cayenne pepper in the container of a small food processor or blender. Pulse mixture until smooth. Place all vegetables in a 13- x 9-inch glass baking dish. Pour mango-ginger mixture evenly over vegetables. Toss or stir gently to combine. Cover with plastic wrap and chill for at least 2 hours. Preheat grill. Remove vegetables from marinade to another tray. Pour remaining marinade into a bowl; set aside. Grill vegetables turning occasionally for 10-12 minutes or until cooked through. 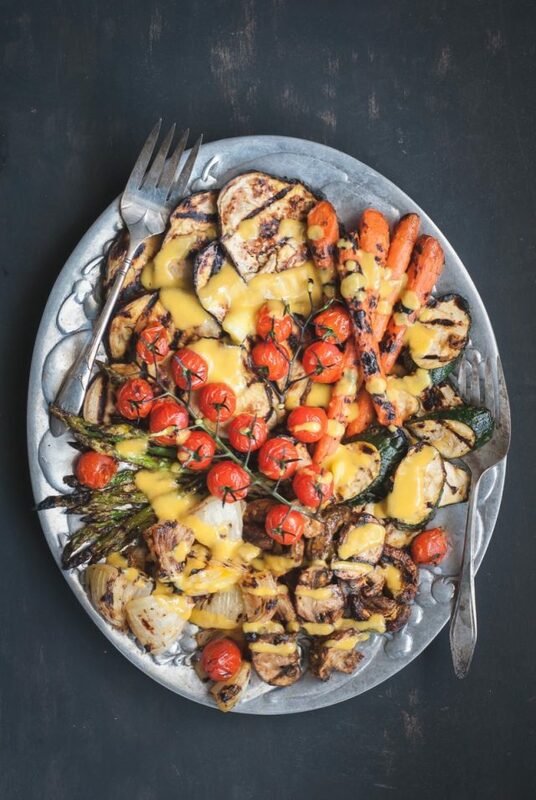 Drizzle vegetables with reserved marinade, if desired. I’ve recommended some of my favorite vegetables, but this marinade is very versatile. Try it with your favorites! This sounds delicious! Definitely going to try it!